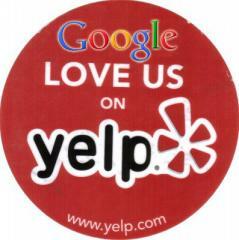 The Telegraph reports Google has given Yelp an ultimatum, either give us your reviews or we will stop listing you in our search engine. We are unhappy with the way Google uses our users' review on its Places page. However, there is no solution to the problem... Google's position is that we can take ourselves out of its search index if we don’t want them to use our reviews on Places... But that is not an option for us, and other sites like us - such as TripAdvisor – as we get a large volume of our traffic via Google search... We just don't get any value out of our reviews appearing on Google places and haven't been given an option other than to remove ourselves from search, how to improve this situation. This is nothing new, Yelp and Google have been arguing about this for a long time. There were also rumors that Google would buy Yelp, but clearly, that never happened. Yelp also had some controversy around their review process, ultimately leading to revamping those policies. We can't comment on conversations with partners, but as we've said before, our goal with local search is to help Google users find the local information they're looking for online. Each day we send millions of customer referrals to local businesses and third party websites, such as review sites, through local search. The overwhelming feedback we get from users, business owners and website owners is that they value the answers and traffic they receive from local search. As you can imagine, SEOs and Webmasters can relate.